Loading...There are a number of reasons why you would need dental implants. We all know our city can be pricey, but dental implants in Vancouver may be a necessity. 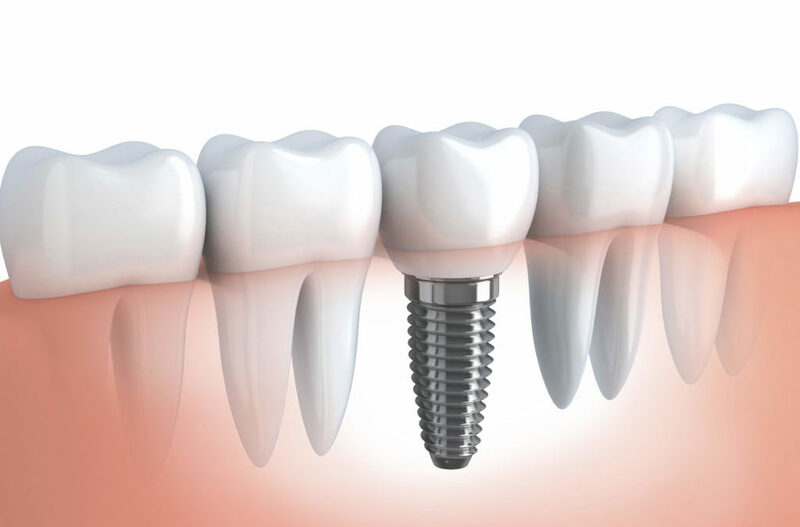 Dental implants are made of titanium and inserted into the jaw. Absolute Dental cares about your smile and will guide you through all your options. Dental implants are different from dentures and other prosthetics and should look and feel natural. Dental implants are a long-term solution relative to dentures or other prosthetics. They are permanently installed and allow for a strong, natural bite. However, if you have dentures and want to stabilize them, dental implants can keep your dentures anchored in place while creating a more functional and comfortable bite. A lot of patients opt for dental implants in Vancouver because they act closer to natural teeth than dentures. While the initial procedure may be more invasive, the synthetic tooth only requires regular brushing, flossing, and dental appointments, exactly like the rest of your natural teeth. In this way, dental implants are easier to care for and last longer than dentures. The procedure of getting dental implants is done in phases. This is because the titanium post must fully fuse to your jaw and gums. Once the initial post is set into place, there will be a few months in which your implant becomes settled and healed. The good news is that this is only a one-time process with an 80%- 90% success rate. Dentures or other prosthetics require regular upkeep that can get costly over time. If you are considering dental implants in Vancouver, contact Absolute Dental. Let our compassionate team walk you through the procedure and whether or not it is your best option. Your health and wellbeing are what’s most important. Call 604-324-3884 today!